Over the last six years, the SF MusicTech Summit has become a staple platform for the convergence of music, technology, and entrepreneurship in San Francisco. The summit has attracted attendees from around the world who’ve looked to SFMT as a place to learn, network, and get inspired. SFMT has been a launchpad for numerous cool and innovative music tech startups, a platform for emerging companies to announce new rollouts, and a facilitator of many new partnerships and business transactions. Last week marked the 16th and final production of SFMT. Music industry thought leaders, entrepreneurs, business professionals, musicians, and investors mixed and mingled over the course of an action packed day of panels, presentations, workshops, and breakout sessions at the Kabuki Hotel in San Francisco. There was no shortage of budding entrepreneurs promoting their cool new startups. I had the pleasure of meeting several founders and learning about what their products and services had to offer independent musicians and their fans in this explosive era of music and technology. Bandposters was founded in 2013 by Jonathan Sexton (CEO), Mike Fabio (COO), and Travis Vignon (CTO) as a way for bands to easily design, print, and ship promotional posters for every show on their tour in 90 seconds or less. Bandposters allows touring musicians, managers, and promoters to quickly send fully customized posters to help promote their shows in just a few minutes. Using your own custom design, or pulling photos from Facebook, Bandposters automatically customizes your posters with tour date information from services like Bandsintown or SongKick and drop ships directly to the venues. No more stuffing envelopes, no more scrawling tour dates on your posters, no more waiting in line at the post office. Bandposters supplied venues as small as someone's house and as large as Madison Square Garden. They’ve shipped to 47 states and have customers as far as Iceland and Australia. Bandposters make sending posters as easy as a few clicks. PRICE: $15 per show, includes 5 posters and 2-day shipping. They also offer larger quantities. 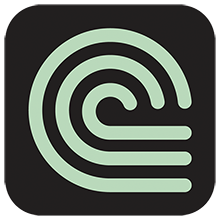 CONDUCTR was founded in 2013 by Julià Carboneras Girgas (CEO), Albert Minguell Colomé (CTO), and Oriol Rosell Costa (CMO) as a music creation and Ableton Live controller app for iPad. It is a whole new experience for musicians and DJs; one that finally makes sense on an iPad. Musicians can use CONDUCTR during music composition/production and during live performance. It was really exciting to watch the founders demo CONDUCTR at SFTM. The user-interface is beautiful and sleek; and although the app is loaded with features and functionality, a user can move access points around and switch features on/off. You should definitely check out some of the demos on their website www.conductr.com. PRICE: Free to install and use. You can expand the performance and features by buying additional modules inside the app from around $8.99 to $21.99. 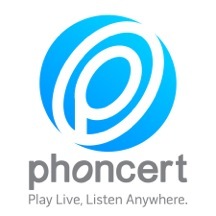 Phoncert was founded in 2012 by Jonathan Schultz and Stuart Hart to allow touring artists of any size to deliver a live audio stream to fans that can’t make the show and archive the show for delivery to fans who want to listen at a later date. Phoncert is a simple and excellent way to let artists engage with their fans on a deeper level and ultimately satiate the growing demand for more unique content. You can provide every show played to fans which drives more ticket sales to upcoming shows and continually has fans looking for the next piece of new content. Phoncert has made delivering and archiving an audio stream extremely simply with an iOS app in which you can add tour dates, bios, and pictures. Artists simply need an iOS device (ipod touch, iphone, or ipad) and a device such as an Apogee Duet2. The analog to digital converter (Apogee device) plugs into the soundboard via 1/2" or XLR cables and then connects to the iOS device. When you’re ready to stream, just login to your account, click on My Streams and choose the show. Then, when you press play, the stream is live and also archiving at the same time. By engaging social media for promotion, you can let fans know when they are streaming if fans can't make the show for any number of reasons. After a tour, the archives are available for fans to listen if the you so choose, and you can constantly change the archive if you wish to drop new shows or make them all available at once. The current version of Fliptu was founded in 2013 by Jeremy Gocke. Fliptu's social aggregation tools help bands present and promote their visual social media campaigns to fans. By simplifying content discovery, bands can increase fan engagement and conversions. • Social Page: enables the band to sync & import all of their official social accounts into a master promotable page or widget that can be embedded on the band web site. Provides a 24/7 one- stop shop for fans to engage with the band's media. • Hashtag Campaign: enables the band to aggregate media & chatter shared by fans around any hashtag they define. Great for fan submission campaigns & contests. • Social Hub: enables the band to aggregate media & chatter around multiple hashtags, usernames, and @mentions -- perfect for presenting a comprehensive "hub" of social activity throughout the tour. • Crowdbook: enables the band to import fan pictures & videos shared directly from venues during live shows, using geofencing technology. Great way to give your fans an archive of live show media throughout the tour. Campaigns can be built, live, and embedded on web sites & Facebook tabs within minutes using a single line of iframe code. PRICE: Free & low cost packages for indie bands & artists. Timely was founded in 2012 by Rik Logtenberg (CEO) and Bradley Roulston (VP Sales). Timely has transformed the online calendar into a distribution & promotional platform. When an artist/band puts their upcoming shows on their own site calendar, those shows can be automatically sent to their social channels, to their fans; as well to local media, tourism and music bloggers. Timely has a killer look to match any artist/band's brand. Simply use Timely as your site calendar, upload your upcoming shows as you normally would and allow your new calendar to push your show far and wide giving you far more distribution at no extra work. PRICE: Free, $9/mo and $99/mo depending on features. +Demystifying The Music Industry: What’s The Difference Between ASCAP/BMI/SESAC and SoundExchange? 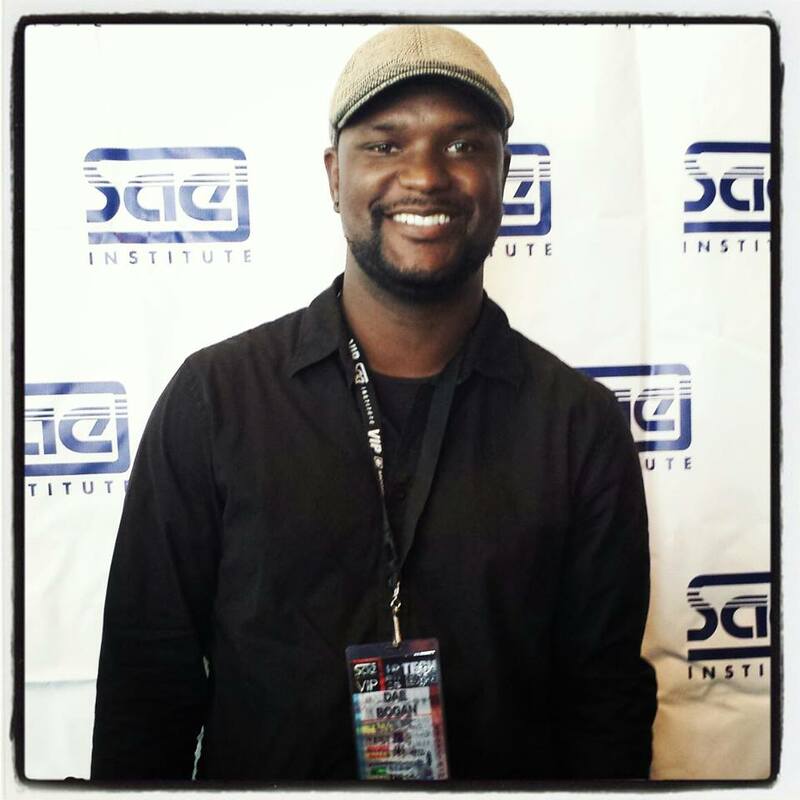 Dae Bogan is a serial entrepreneur, professor, startup advisor, and industry speaker at DaeBoganMusic.com. Featured in YFS (Young Fabulous & Self-Employed) magazine, Dae has founded and operated a music publishing company, independent record label, artist management company, event production company, and two music tech startups. Prior to consulting and collaborating with some of the biggest music companies in the world, including Universal Music Group and Live Nation, Dae was Vice President of Marketing at Shiekh Shoes where he launched Shiekh Music and oversaw all in-store and digital music retail, artist sponsorships, musical events, and an independent artist support program. Dae is currently the Professor of Entertainment Marketing at Emerson College in Los Angeles and advisor to several music tech startups including Floshare, Tuneport, Sonabos, Requext, Language Zen, iQnect Music, and Manglers. For more information and industry insights, visit www.daeboganmusic.com.